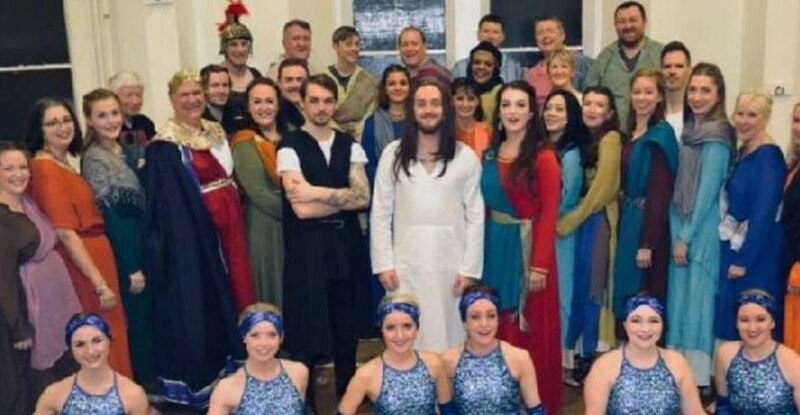 Welcome to the website of Clitheroe Parish Church Amateur Operatic and Dramatic society. We hope it will provide all the information that you need. We are a society whose aim is to provide live entertainment in Clitheroe and enjoy ourselves in the process. We have two regular productions during the year which are a Musical in February and a Play in October. The Society operates under the umbrella of Clitheroe Parish Church but we are open to all and would like to extend a very warm welcome to anyone who would like to join the team and help with our productions. We are always looking for people to help out in all departments – acting, singing or dancing – building sets or painting scenery – helping with lighting or props – selling tickets or making tea. Whether you want to be involved throughout the year or just during show weeks, please send us an email or come along to one of our rehearsals at St. Mary’s Centre and say hello. Or if you prefer to give us a call, ring Damian, our Chairman, on 07809 873936. Don’t be shy, give us a try! Parking is available on the Railway View Car Park, opposite Clitheroe Health Centre and is free after 6.00pm. From the car park, walk up past Ribble Valley Borough Council Offices, through Church Walk and turn left up Church Street, St. Mary’s Centre is 100 meters on the right.